Do you find our R8 4.2L V8 SwitchPath™ system too docile for your tastes? You’re on the right product. 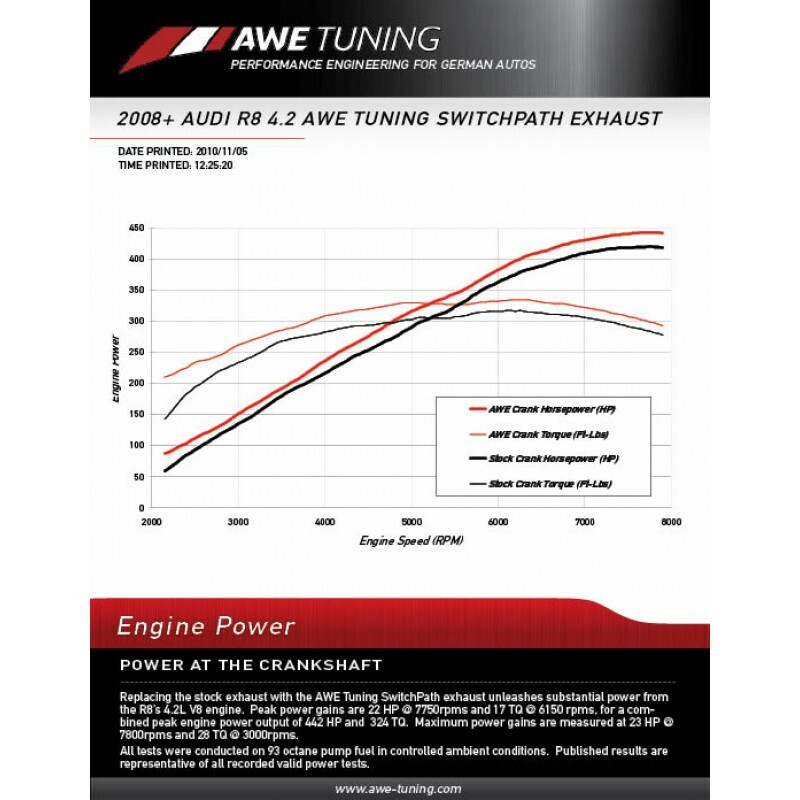 Meet the AWE Tuning R8 4.2L Straight Pipes. This system unlocks the same impressive power gains of 25 hp and 28 ft-lbs as our SwitchPath™ Exhaust System, but sheds even more weight over the stock exhaust system, for a total weight loss of 50 lbs. Be warned, though: The sound from the straight pipes is not for the faint of heart, small children, or small pets, and there are no “switching options” available with this addition. Scared? Take a step back to the head-turning yet sophisticated SwitchPath™ Exhaust. AWE Tuning stands by this product with a lifetime warranty, however, this product cannot be returned or exchanged based upon sound satisfaction. Please note, this exhaust is legal only for racing vehicles which may never be used upon a highway.